Your Growing Child promotes a fun-filled, nurturing and educational environment for all of our children to bloom into responsible, considerate and contributing young people. Through our low teacher-child ratios and highly exceptional teachers, the children have the opportunity to grow emotionally, socially and intellectually by interacting, exploring and learning with others in a positive, safe and healthy environment. 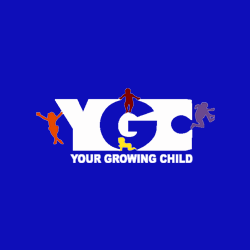 YGC supports families by creating a quality childcare program led by inspiring and loving teachers who nurture children as they learn, play and grow. Classes are available for children as young as eight weeks through age 5. We also offer before and after school care for school-age children as well as Summer Camp. Stop by today for more information and a tour of our center.